Because of the restriction of activities such as installation of external apps on iOS devices, many of the iOS users turned towards jailbreaking of iPhone or iPod devices. Until today, that was the only option to use some pirated or freely available paid app and games on ios devices. But jailbreaking is something which you may want to prevent to be on safer side and increase the lifetime of an iOS device. It isn’t indicating that you shouldn’t use all those unofficial apps just because you are afraid of jailbreaking. There are many tools and platforms are now available which can satisfy your needs. And, they do without even needing jailbroken iOS devices. A few of such tools/apps are cydia impactor, tutuapp, tweakbox etc. vShare helper is another amazing tool for your iOS device whether is iPhone, iPad or even iPod. Therefore first, let me educate you about this vShare Helper tool. 1 What is vShare Helper? vShare Helper is a pretty cool platform or tool that permits you to run vShare app on your iPhone, iPad devices. Well, it is not limited to vShare installation to your iPhone. We can call it the best iTunes alternative as well because of its ability to transfer media file to and from your computer. The best and most popular usage of vshare helper is to install vShare iOS 11 which is a gigantic directory of all kind of patched, unofficial apps and games. 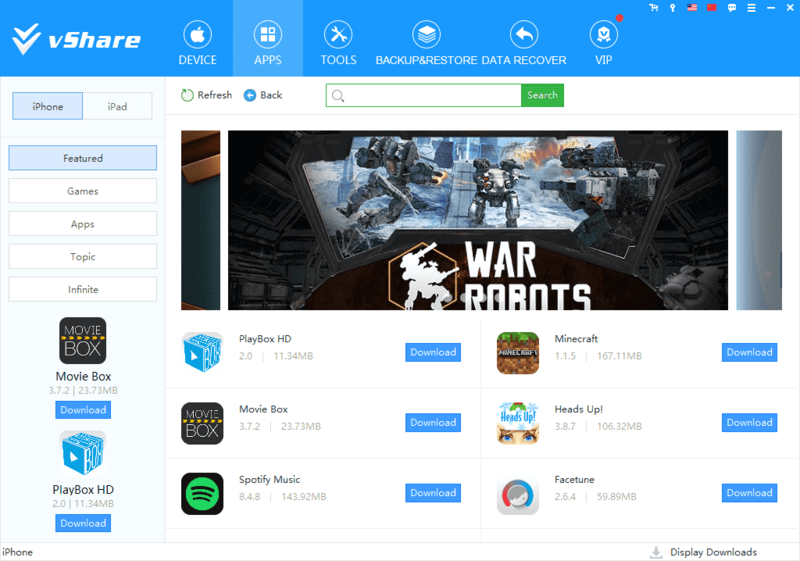 In order to download and install paid apps and games, all you need to do is to connect your ios device to pc/laptop via USB where vShere Helper is running. Wait, stop! It’s enough. We’ve buttered bread a lot. It’s time to know how delicious it is. 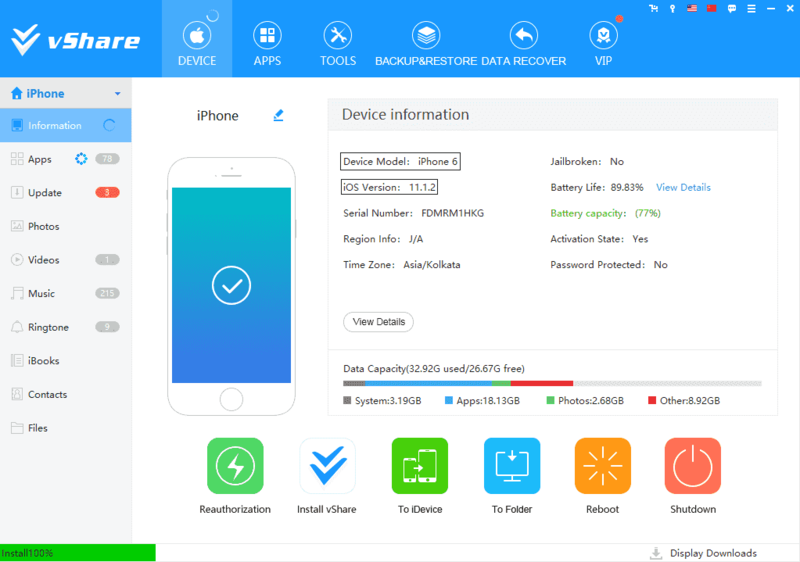 Using vShare Helper, you can recover your lost data of your iPhone in any condition. 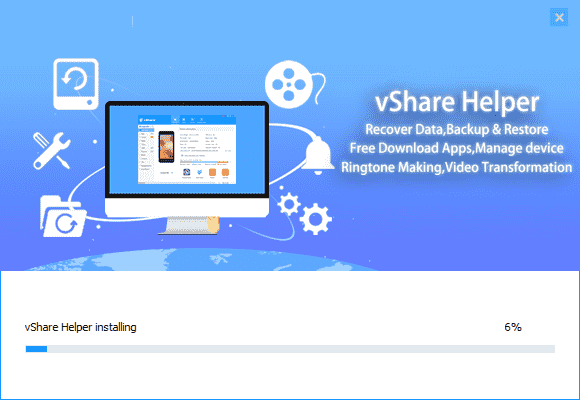 Your iPhone messages, photos, contacts and important data can be easily recovered using vShare Helper. It provides you to the best interface for transferring data between your ios device and computer. i] Copy media and other files to iOS devices. ii] Transfer media(photos,music,videos etc.) directly to computer. Compatible to all popular iOS devices and iOS version such as iPhone XS Max, iPhone X, iPhone 8/8Plus, iPhone 6/6 Plus, iPhone 5/5S, iPhone 4S, iPad Air 2, iPad Air, iPad Mini 3, iPad Mini 2, iPad Mini, iPod Touch with iOS 12, 11, 10 and later versions of iOS such as iOS 9.4.1, iOS 9.3.2/9.3.1, iOS 9, iOS 10, iOS 9.2/9.1, iOS 8.4.1, iOS 8.4, iOS 8.3, iOS 8.2, iOS 9.0.2/9.0.1. As vShare helper download allows you to run vShare application directly on your iOS device, you can use many paid applications and games which are not available on App store. In the paid version of vShare Helper, you can convert any music to iPhone ringtones. Another feature includes a video converter. You can convert any video to .mp4 format. At last, it is 100% safe to use and you will also get periodic updates. The first thing you may want to try is vShare on iOS installation. If you are using vShare for installing vShare app for installing those tweaked or ++ apps, this will be the best solution. On top of that, you don’t need to wander for vShare helper as you are gonna have a direct download option here. Consider the following requirements before proceeding towards vShare helper download. iPhone or iPad and computer. USB cable to connect ios device to computer. 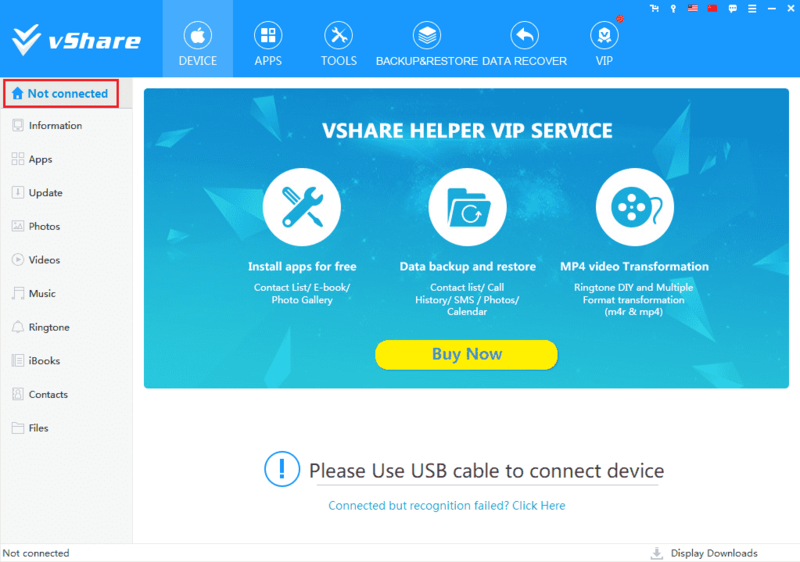 Exploring vShare official website for vshare helper download will waste your precious time for sure. You will find many sites claiming vShare authority, but they’re not. As a simple solution, just download it from the download button provided below. 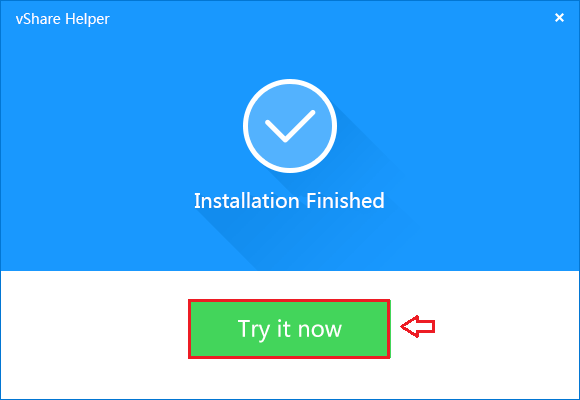 Step 1: After downloading .exe file, simply run it which will initiate the installation. 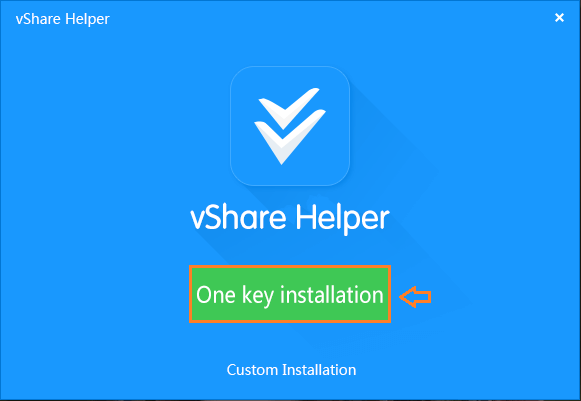 Step 2: Open downloaded vShareHelper_64bit.exe file and tap on One Key Installation. Step 3: It will initiate the installation process. Click Next button on the upcoming screen. Step 4: Once the installation is done, tap on Try it Now and it will lead you to vShare Helper home screen. Step 5: Now you need to connect your iOS device to the computer. Step 6: Let it authorize your device and it will automatically detect your device’s model, iOS firmware version etc. Step 7: Then after you can use vShare helper to run vShare app for installing popular paid apps and games. Being the best alternatives of iTunes, vShare helper has got really a huge user base. 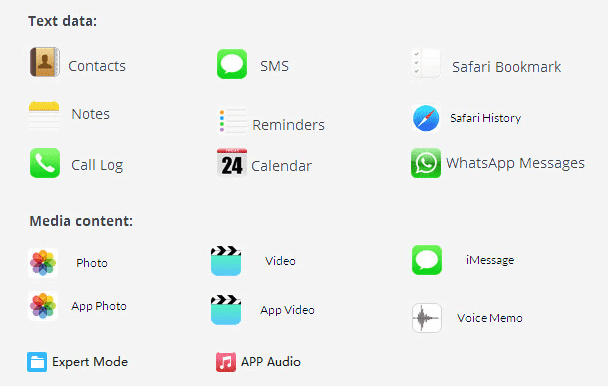 You will be able to install vShare on iOS device easily which will let you allow install a variety of apps. On the other hand, it enables the transfer of media file within a few clicks with its simple and user-friendly interface. What else does one need to be happy for? Once you get used to it, you will undoubtedly forget iTunes as your primary requirements. Data recovery feature is probably one among many you will be in love with. Invite your friends to have their hands on this amazing tool.